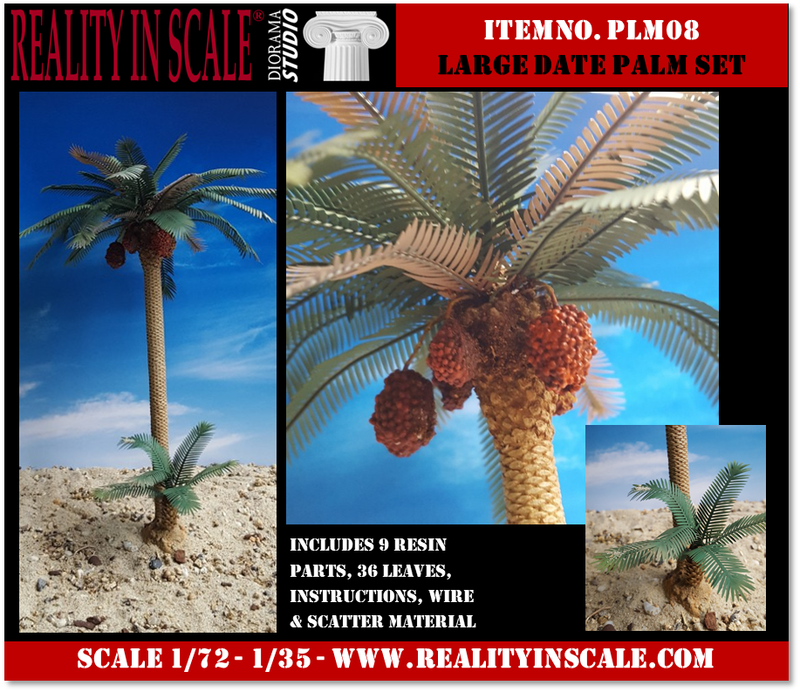 Welcome to the Reality in Scale webshop! 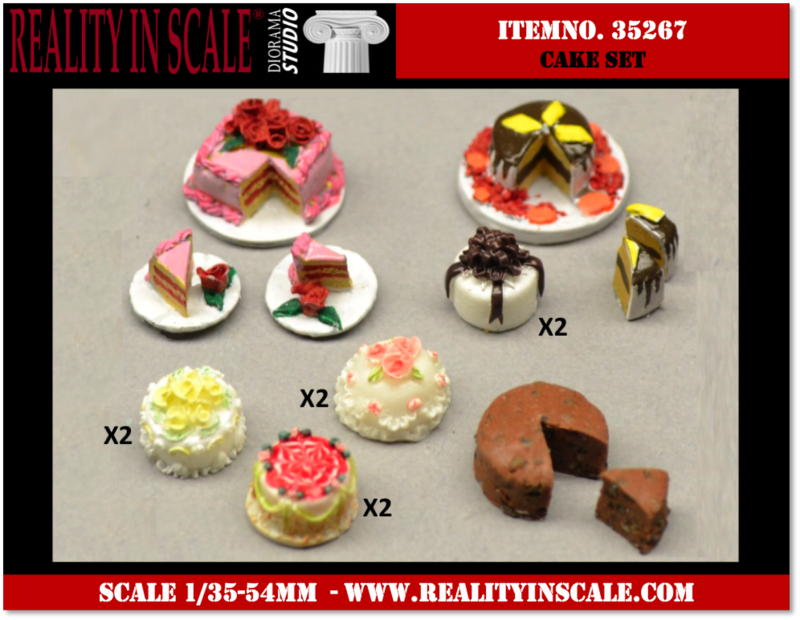 We do hope you find something of your interest in our assortment. 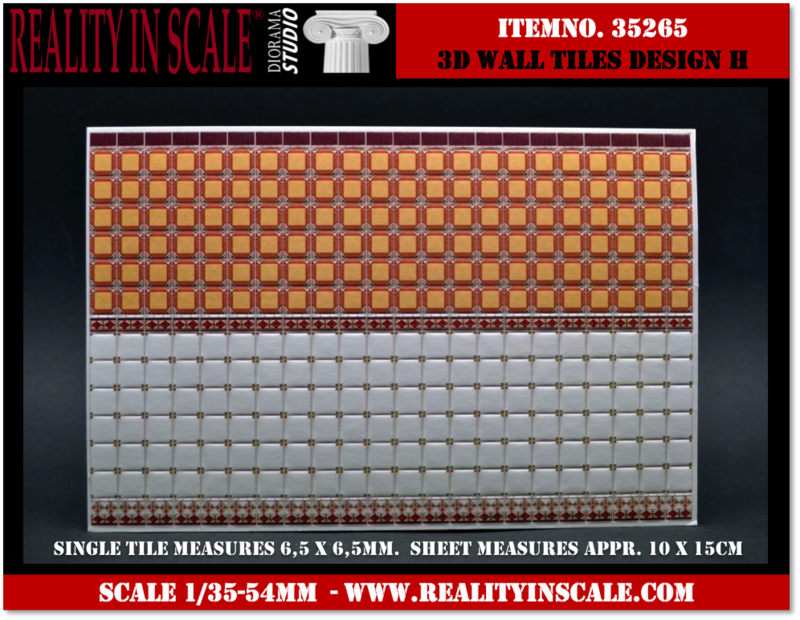 You can easily browse our products using the product categories on the left. 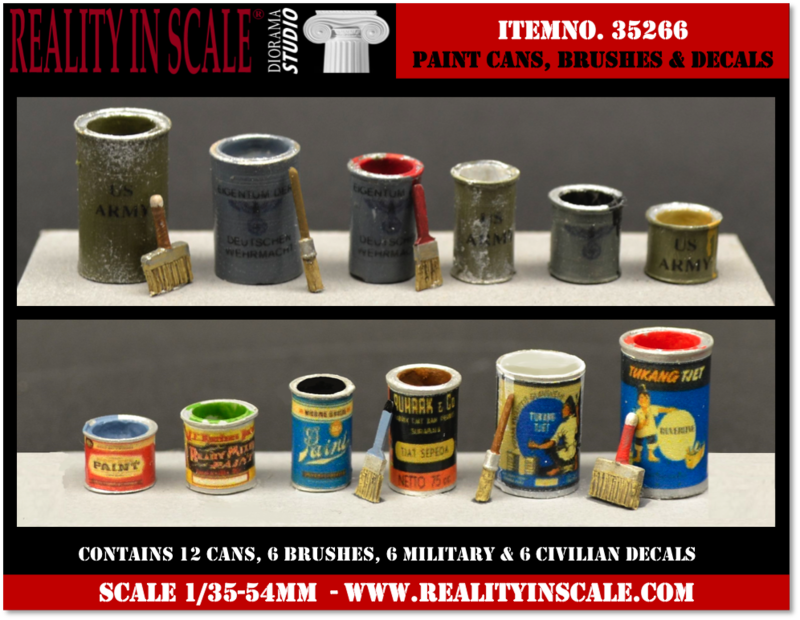 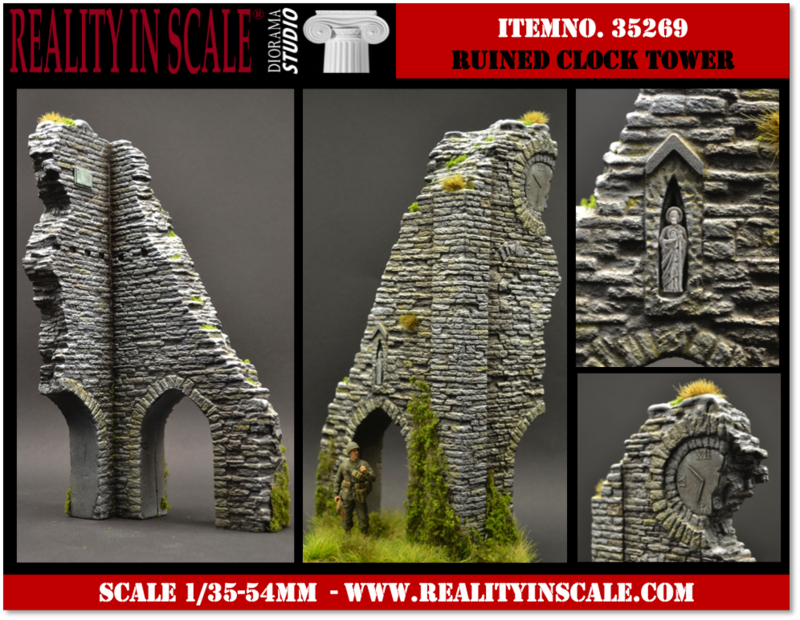 Please note that most of our products are in scale 1/35 - 54mm unless stated otherwise. 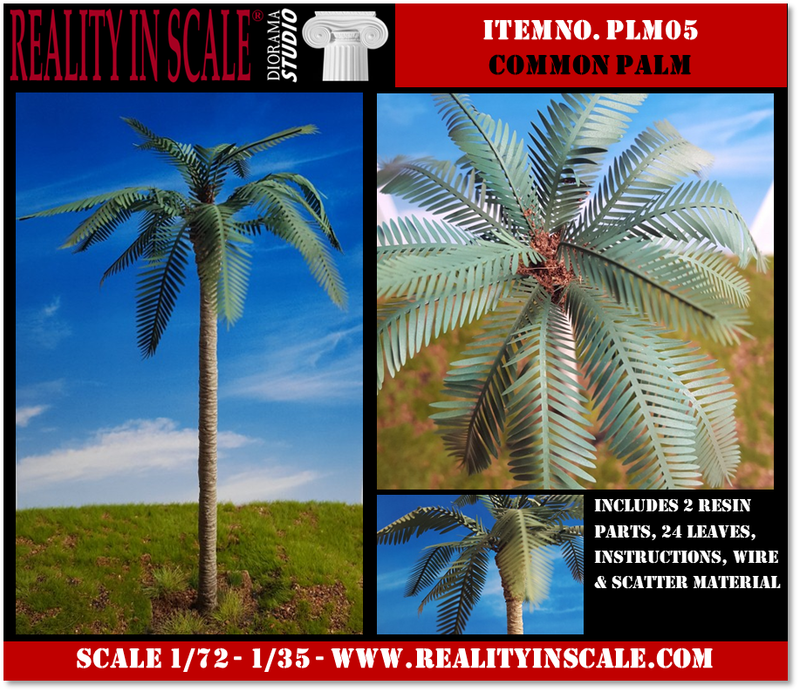 Good news for customers outside the European Union! 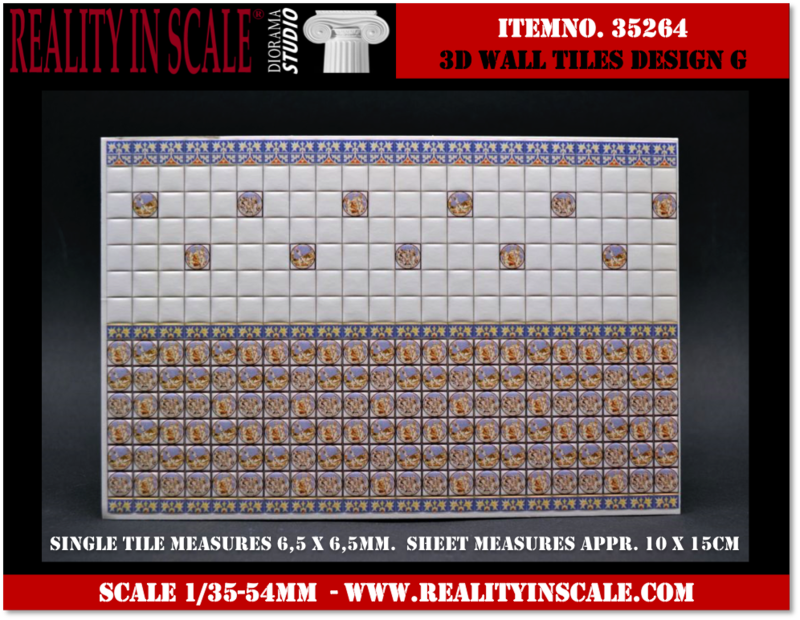 We can deduct the VAT for all customers living outside the European Union. 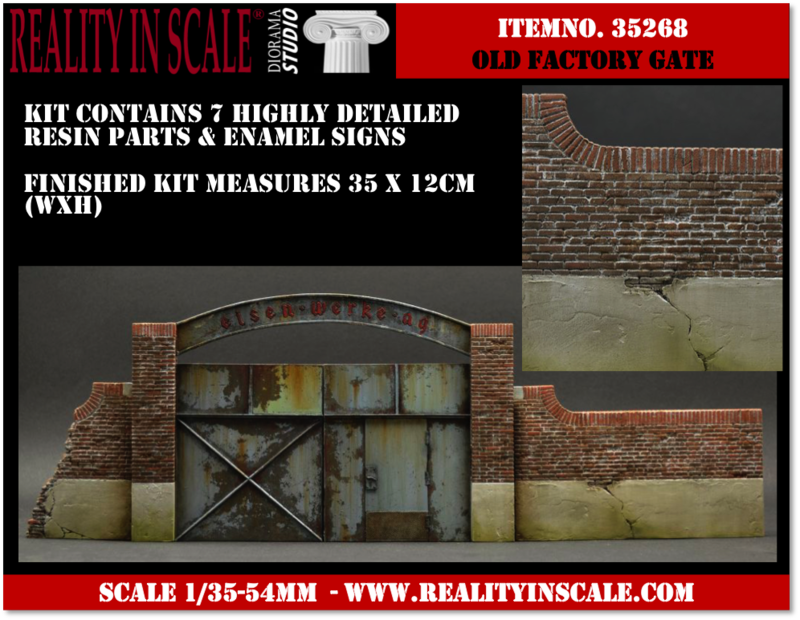 You can order using our shopping cart and at checkout, the VAT will be deducted if you live outside the EU. 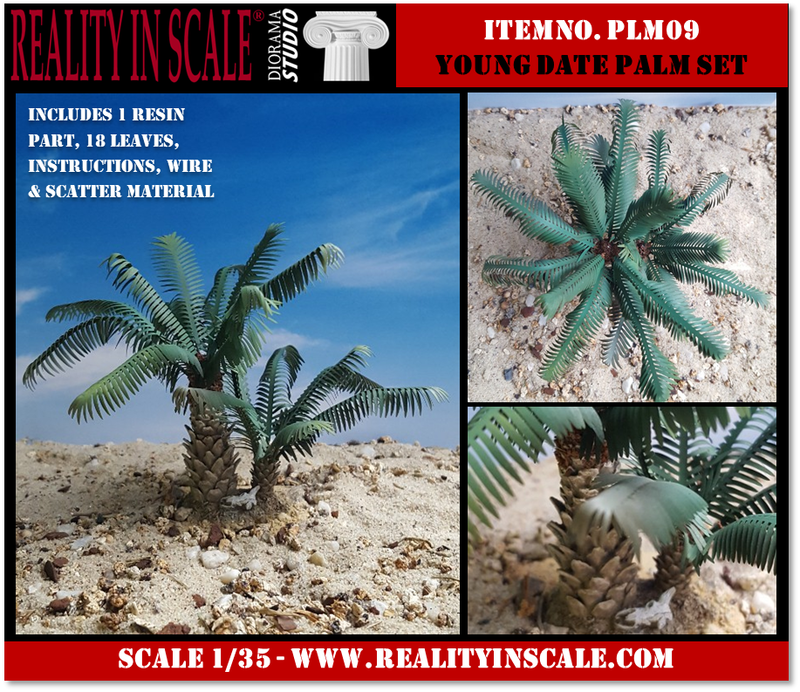 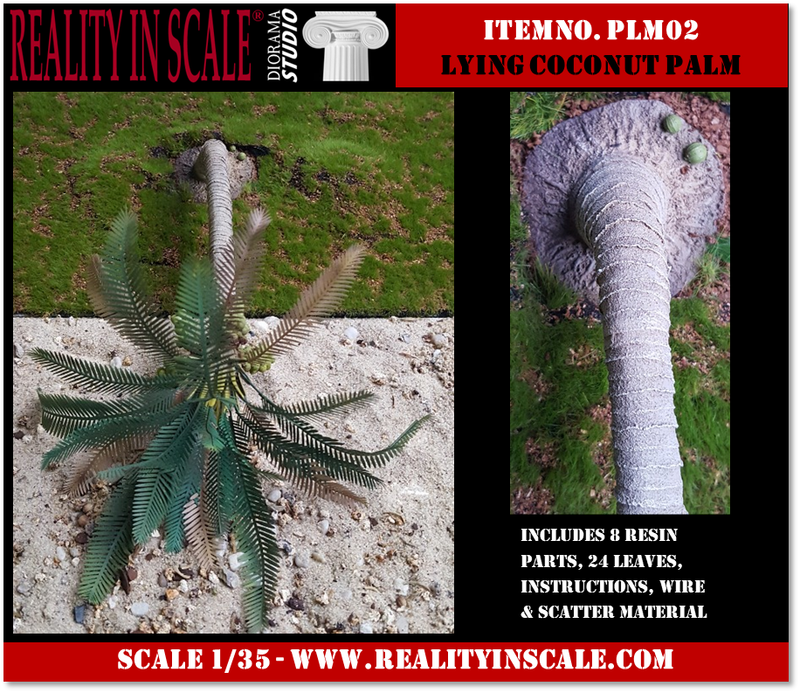 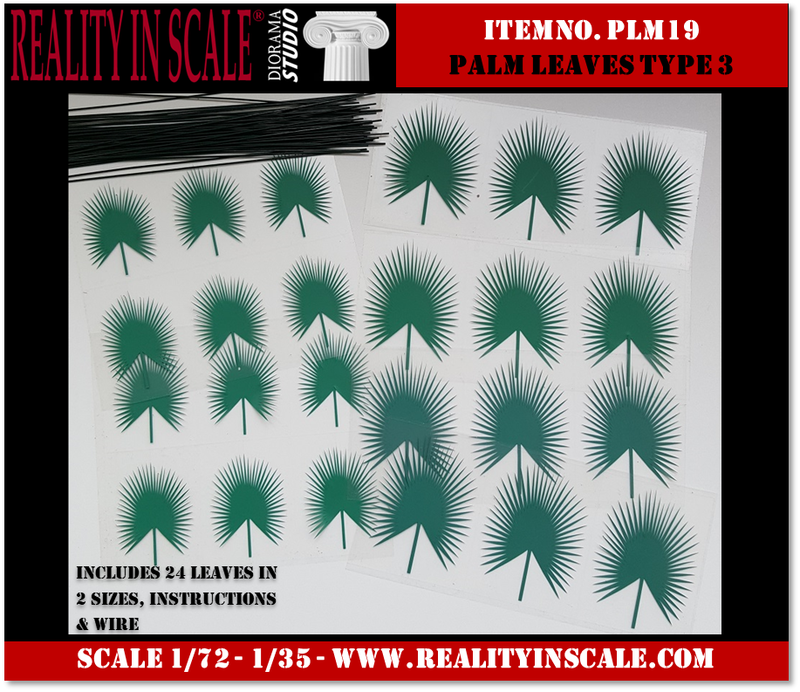 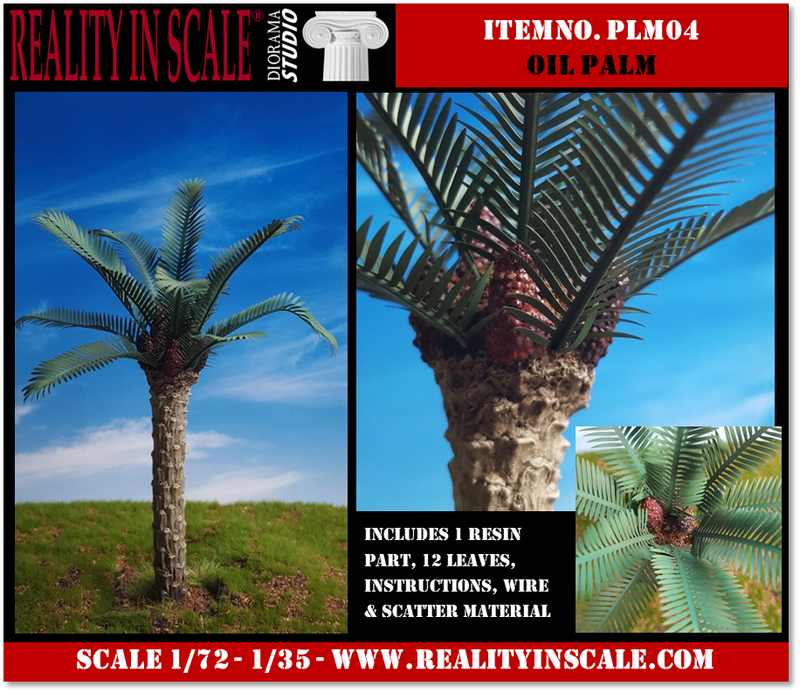 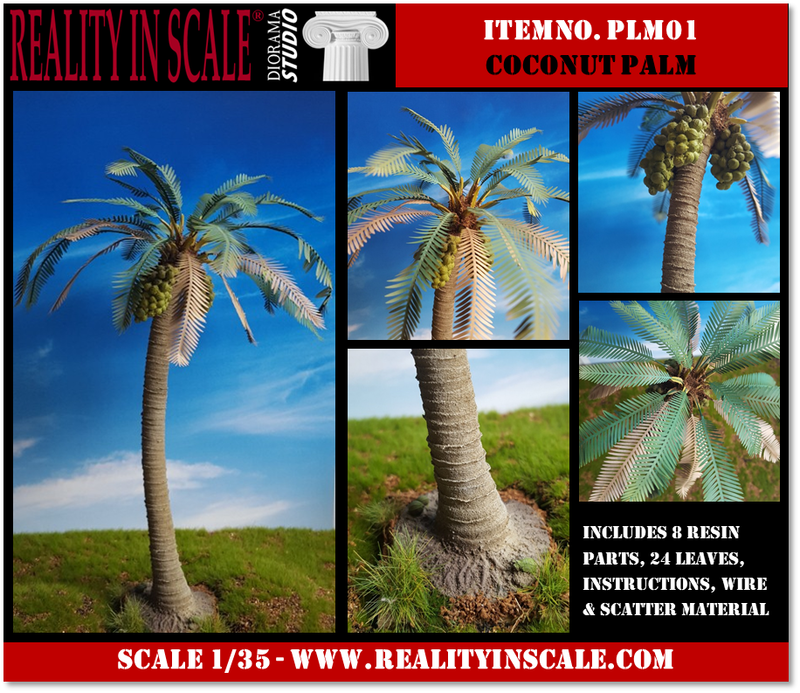 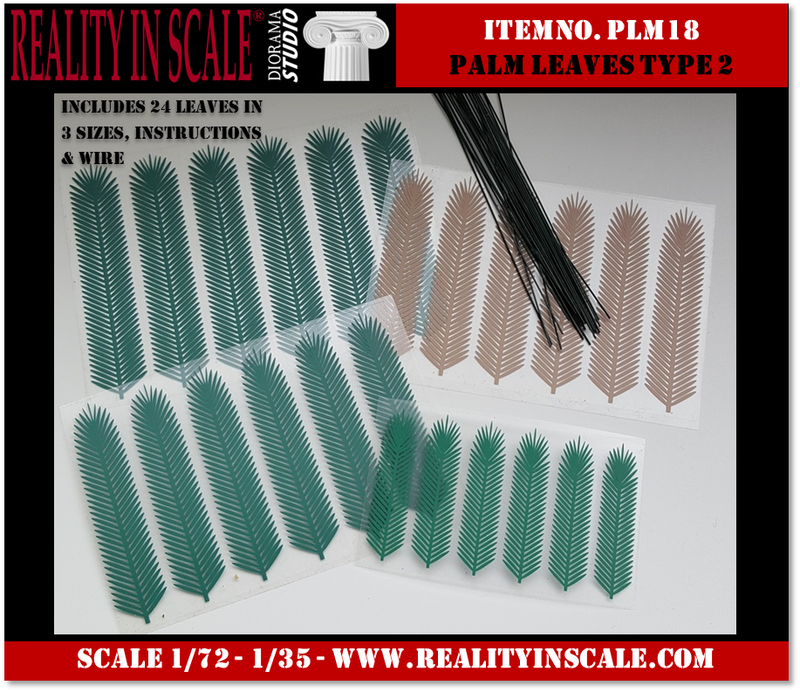 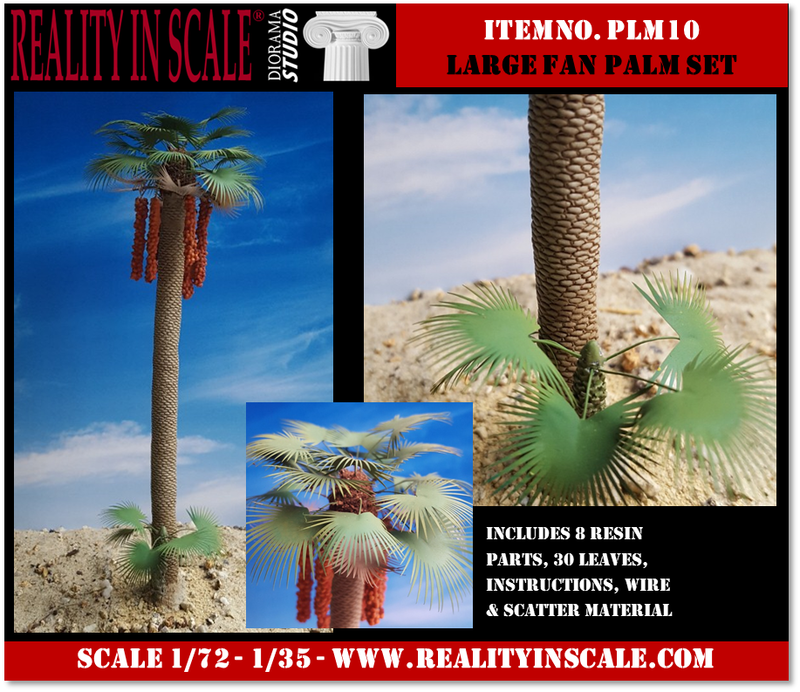 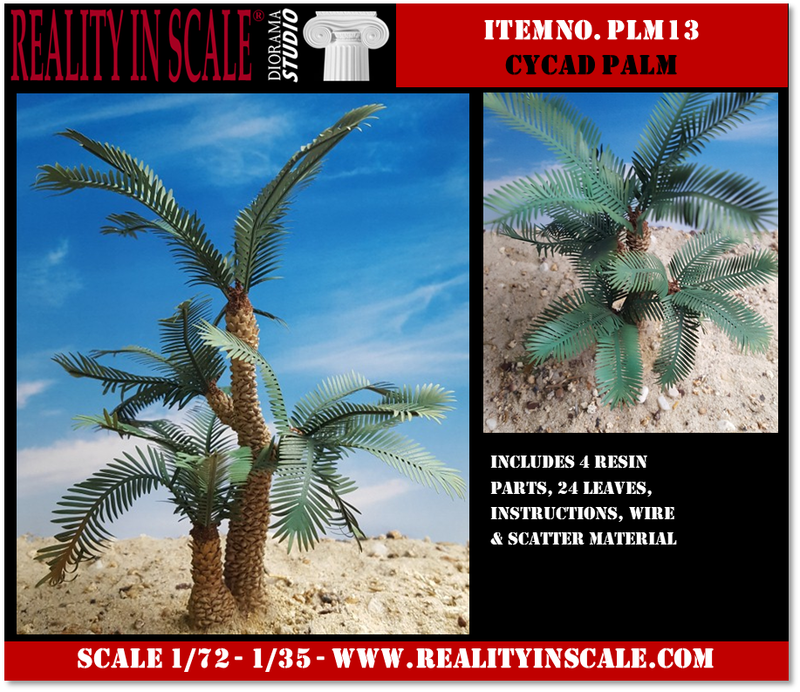 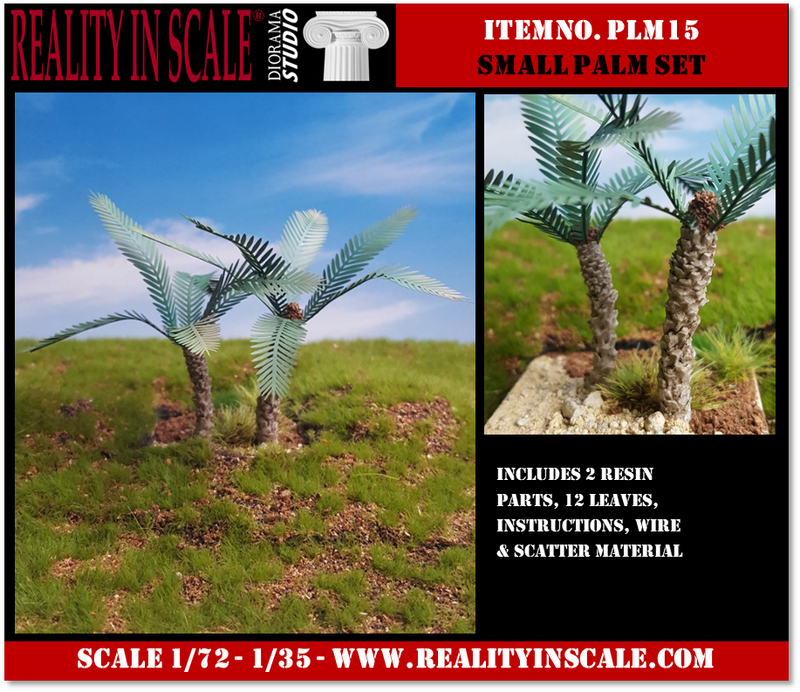 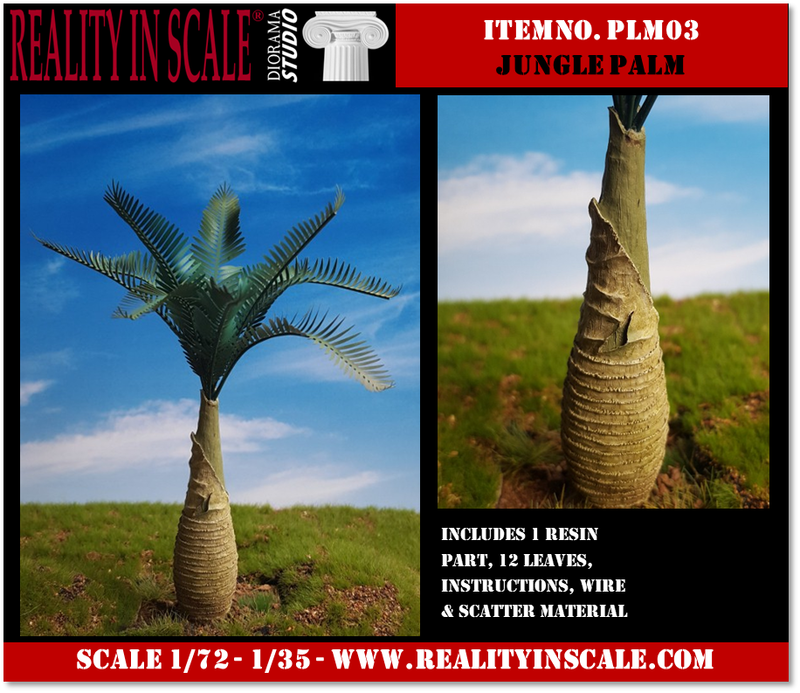 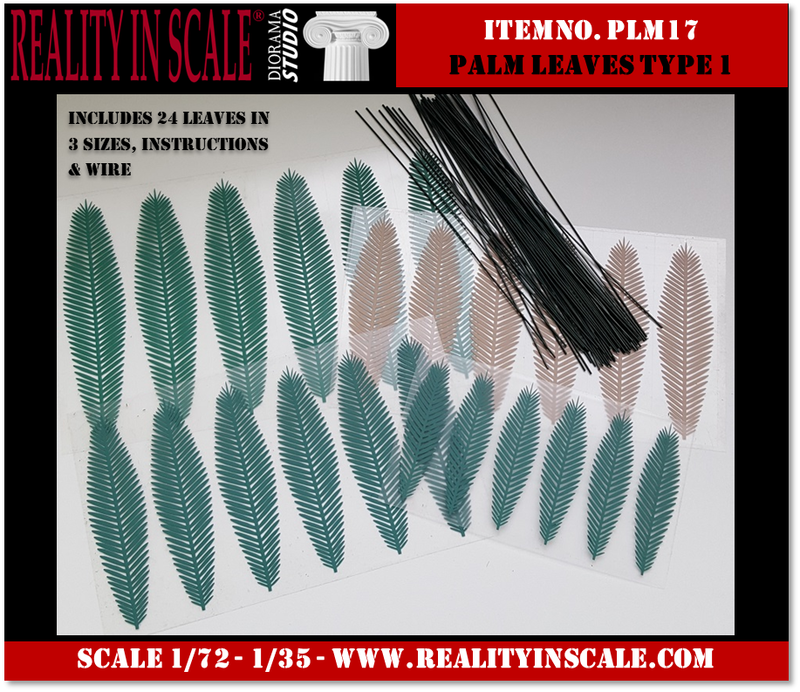 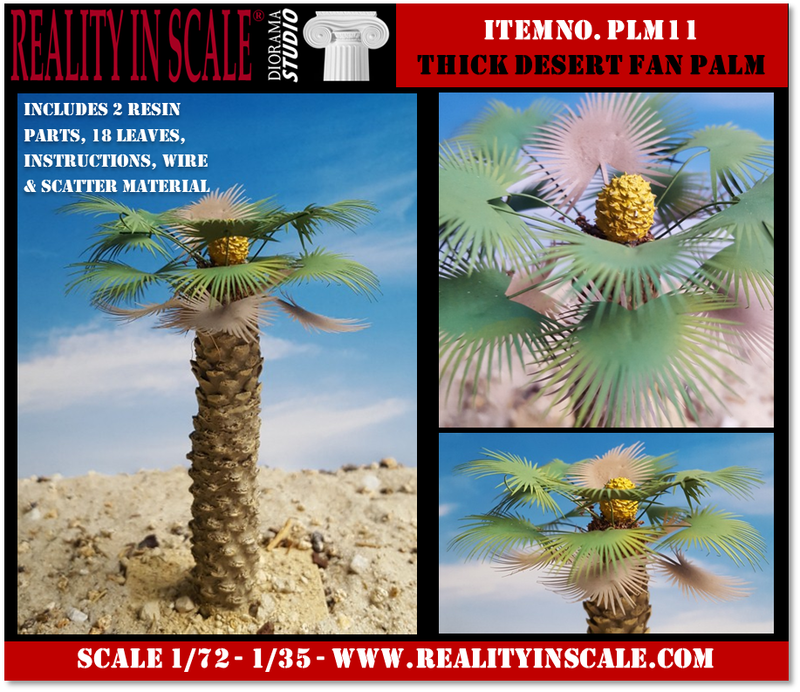 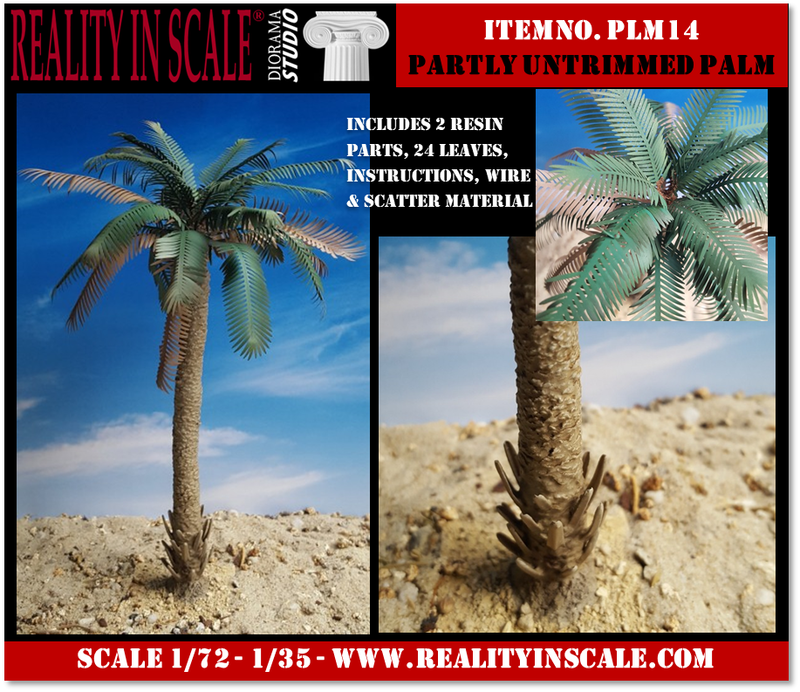 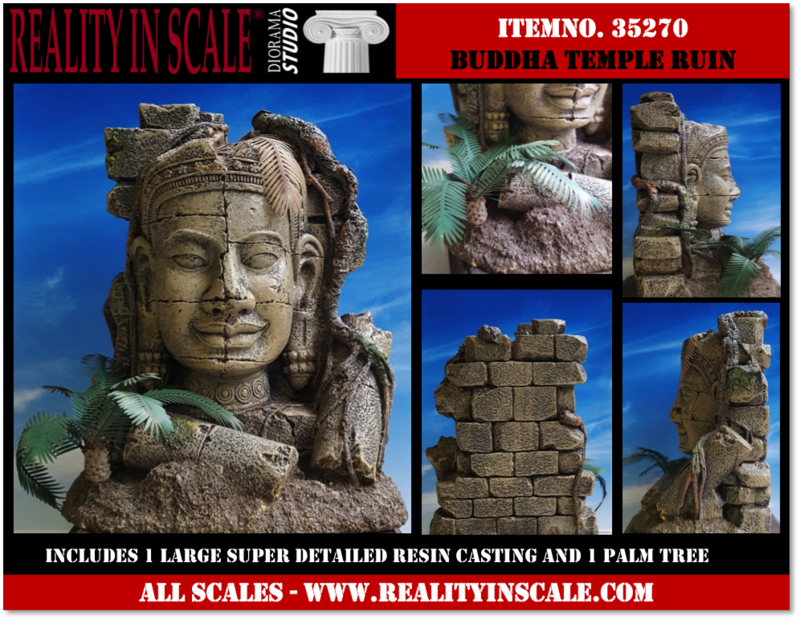 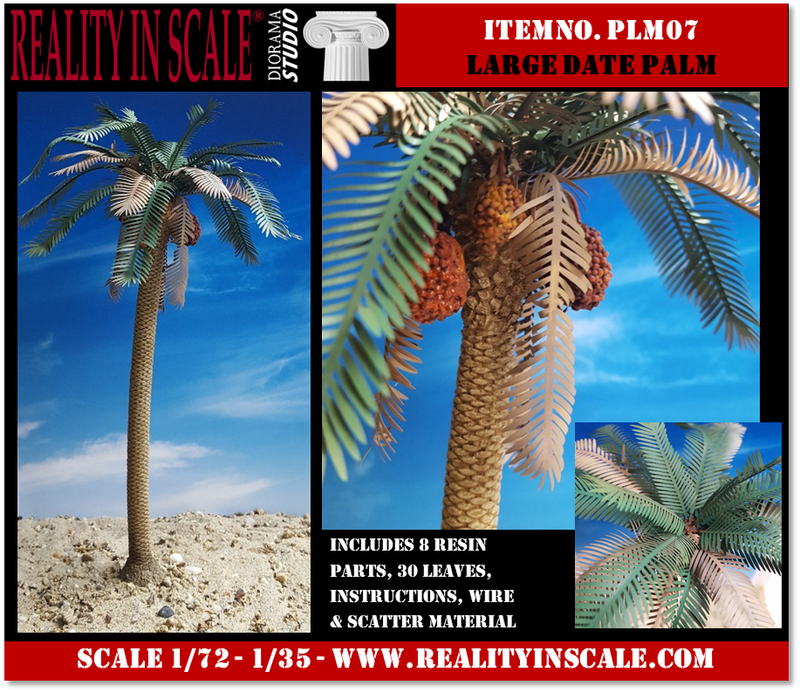 Reality in Scale has the pleasure to announce a fantastic new range of 19 highly realistic Palm Trees! 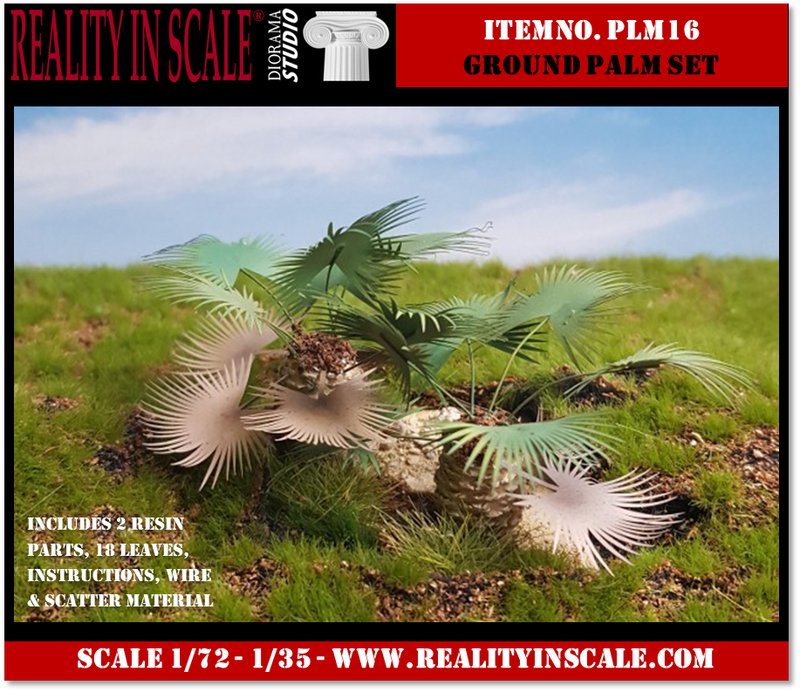 Check them out below along with some other great new products. 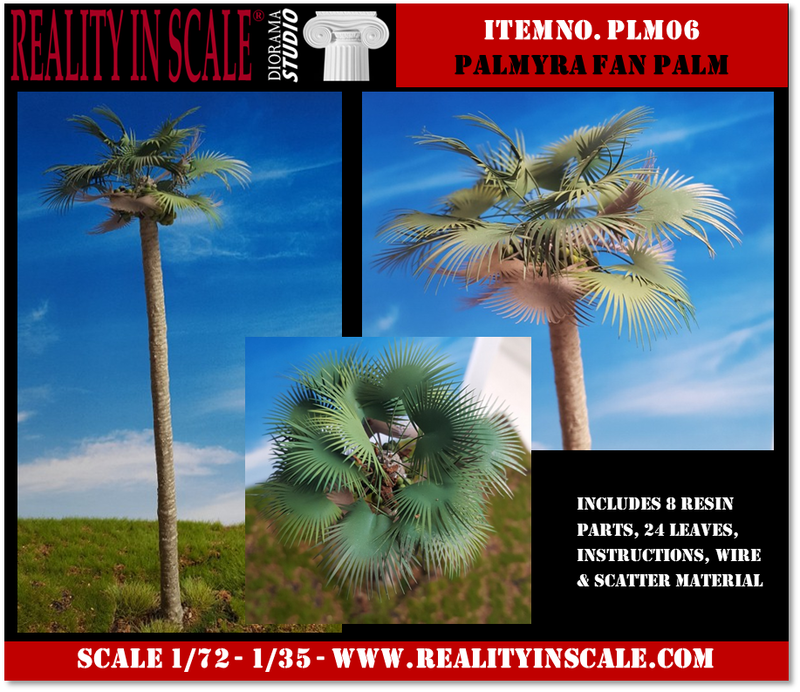 Click on the picture to go to the product directly. 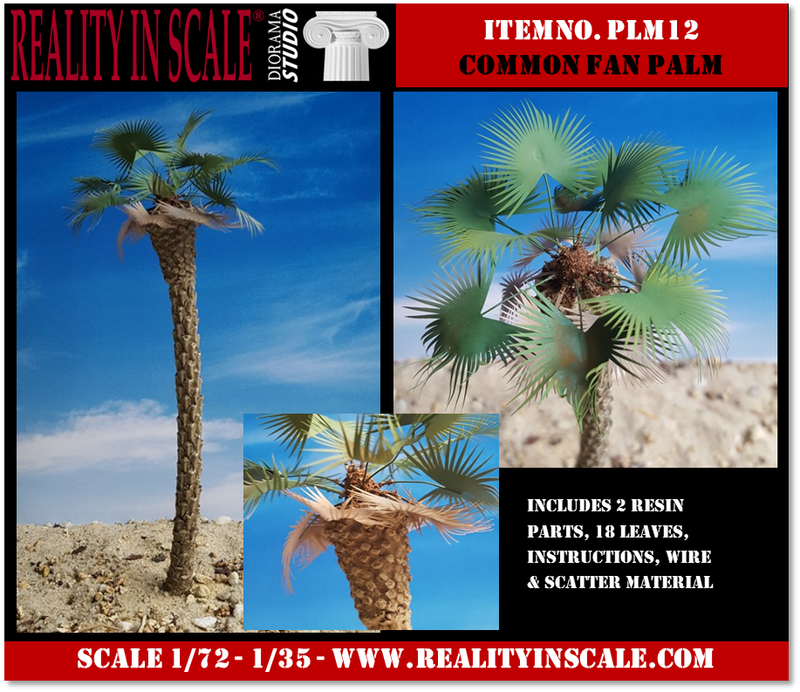 Here are all our new palm trees, you can see all the details in the category SUPER DETAILED PALM TREES found in the menu on the left.